The glamorous Platinum Youth Nightstand is what dreams are made of! Dressed in a fashionable champagne finish, it features a shiny mirror trim and crystal accented handles. 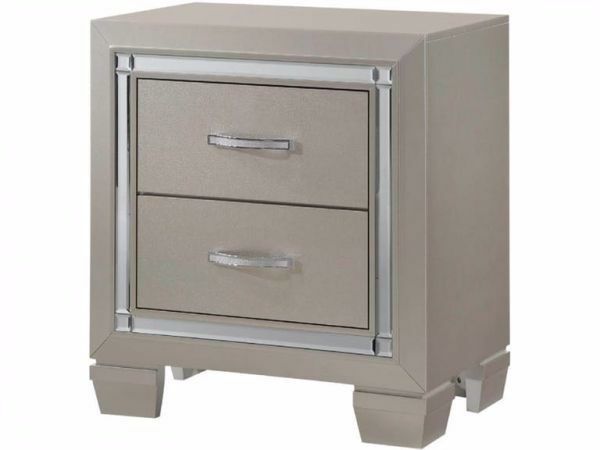 Embossed drawer fronts add the finishing touch to this sassy nightstand.